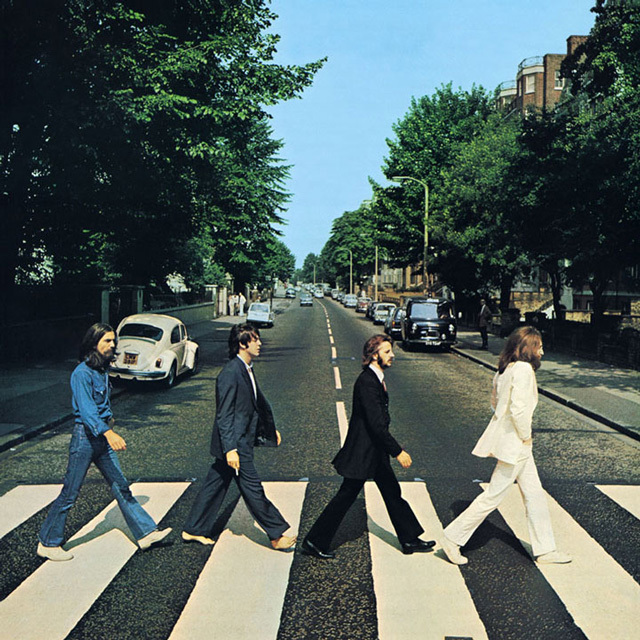 The Beatles’ iconic (and widely imitated) album cover Abbey Road shows all four band members walking across London’s Abbey Road. 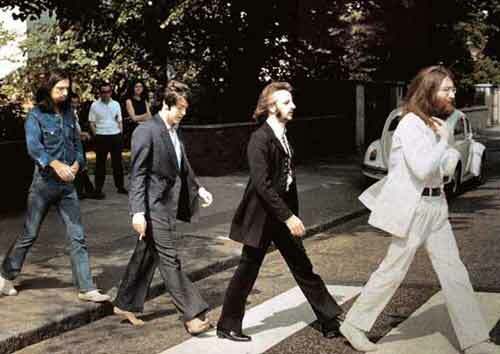 At that time The Beatles were recording the majority of their songs and albums at Abbey Road Studios (was then called EMI Studios). 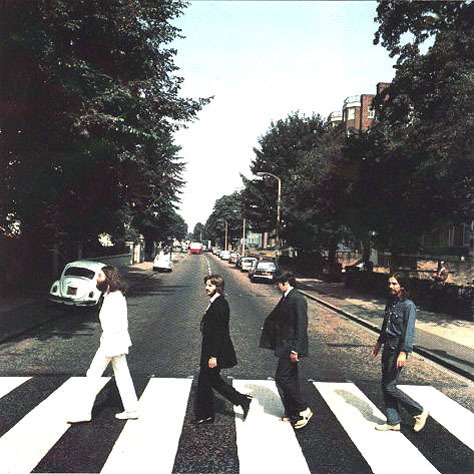 On August 8, 1969, Scottish photographer Iain MacMillan captured them simply walking across the street for the album’s cover. 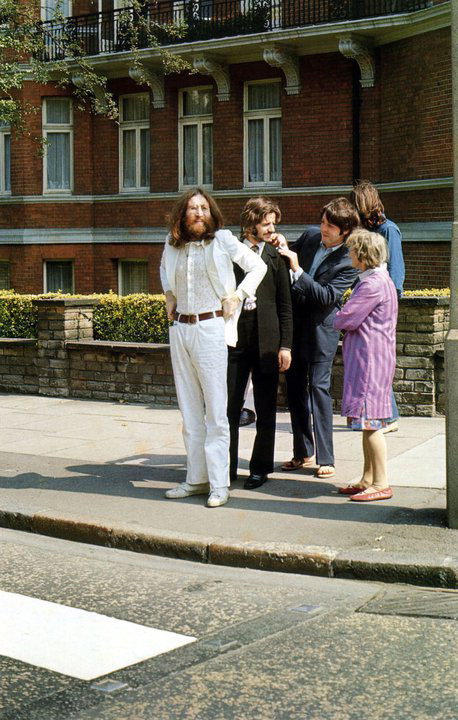 The shoot reportedly took just ten minutes but, as you can see, they had walked back and forth across the street before catching that now-famous image. Here is a gallery of outtakes from that legendary photo shoot.